Figs are my fruit du jour. 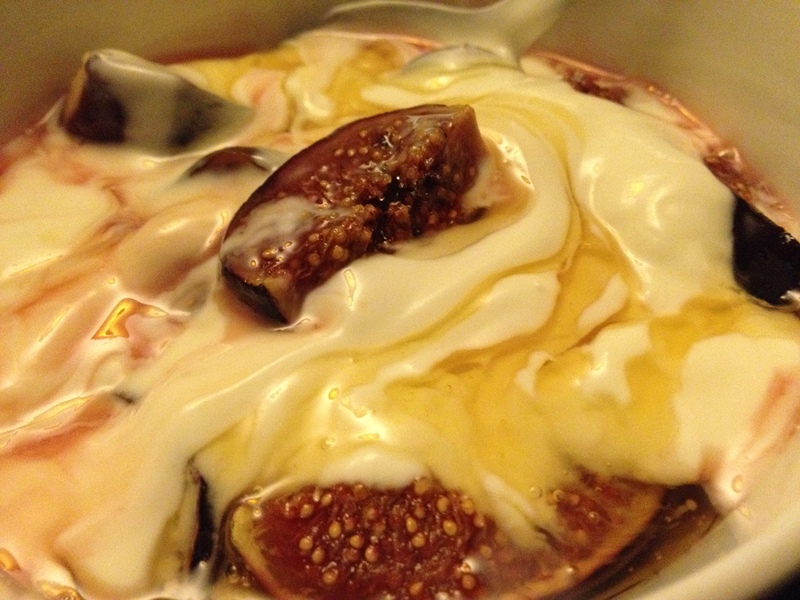 My favourite dessert at the moment is baked figs with Greek yogurt and honey. It’s a quick, comforting dessert. And very easy to prepare: cut the figs into quarters and roll them in sugar. Then place them in a baking pan and bake them at 200°C for 20 minutes. Serve with yogurt and honey. Figs will give out a syrupy juice so make sure you spoon the syrup onto the yogurt too. Makes for a very tasty dessert!